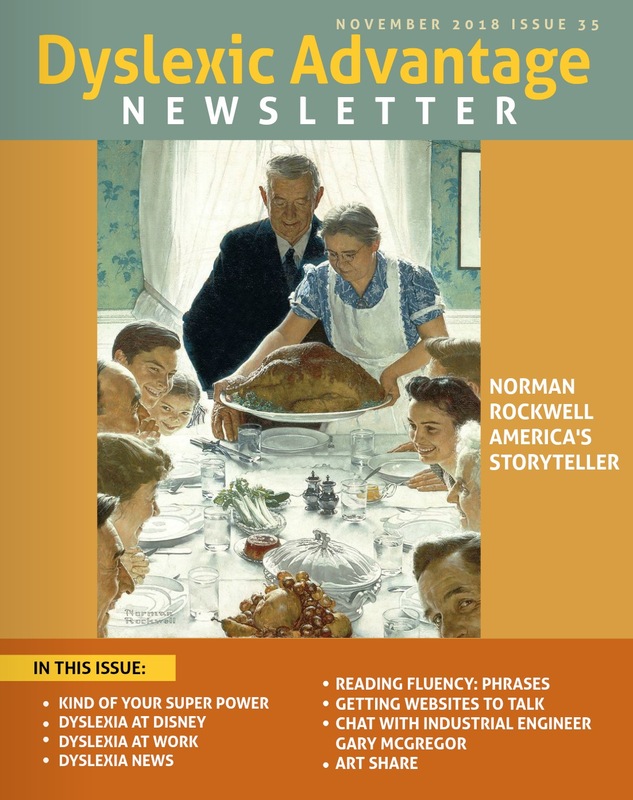 To Activate Read Aloud, turn on ReciteMe before clicking on the Newsletter Link. Recite me is the red button at the top left of the browser. 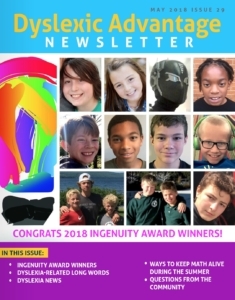 To turn off, click the X at to right. 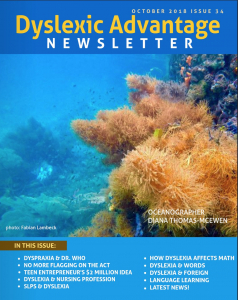 If you have any problems, contact us at: team “at” dyslexicadvantage.org For more back issues, become a Premium Member. 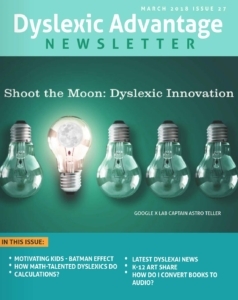 Differing Opinions: Dyslexic or Person with Dyslexia? 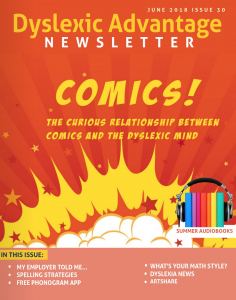 Why Doesn’t My Student Like Uadiobooks? 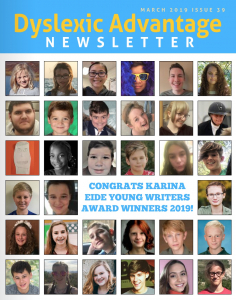 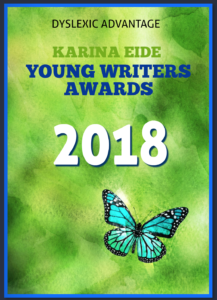 Submit for Karina Young Writers Awards! 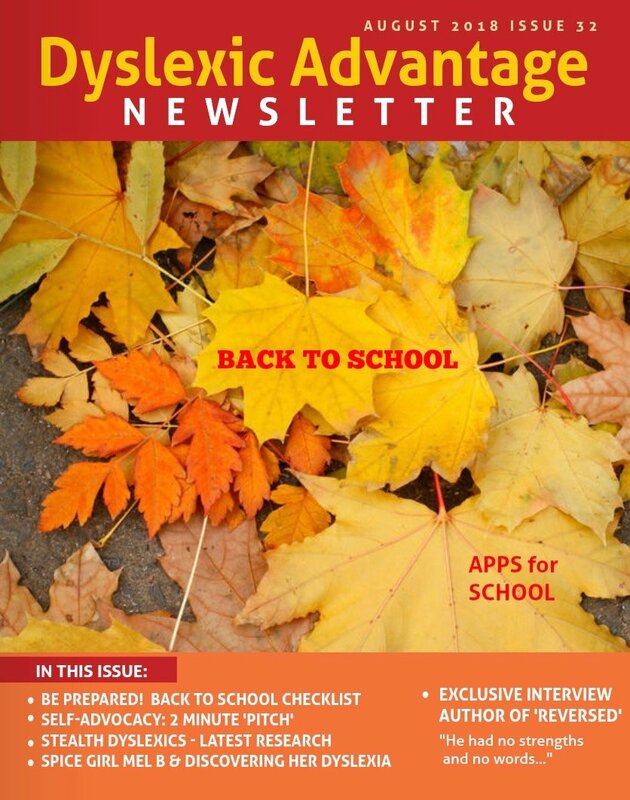 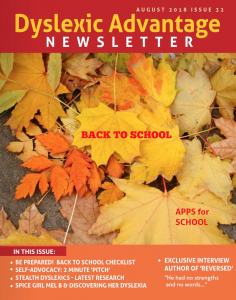 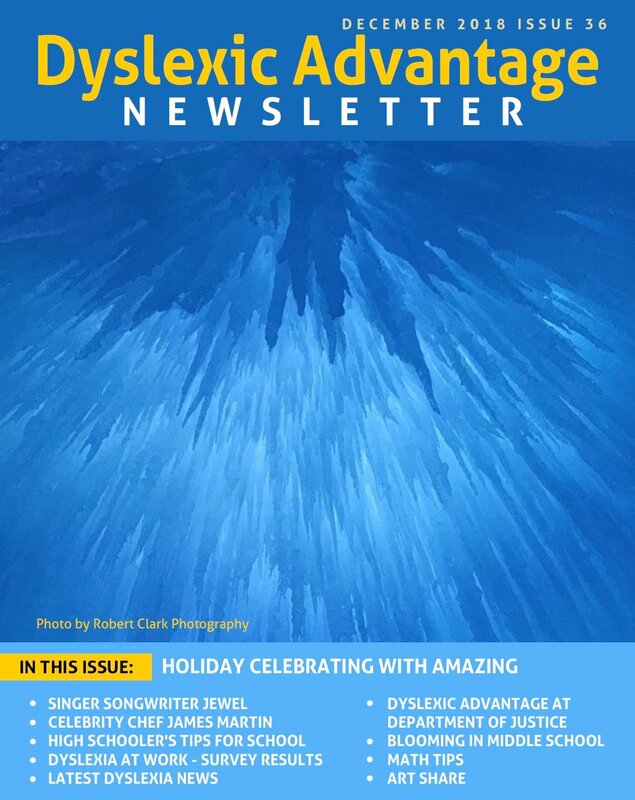 DEC 2018 Dyslexic Advantage Newsletter in PDF. 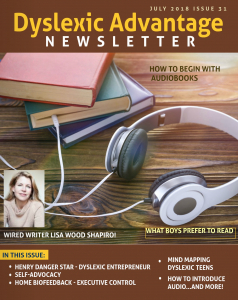 What Do Boys Prefer to Read? 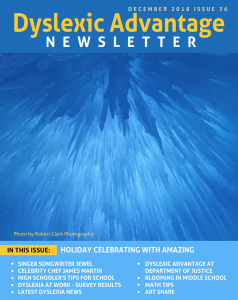 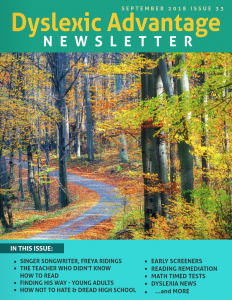 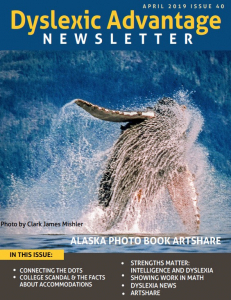 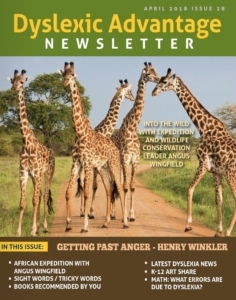 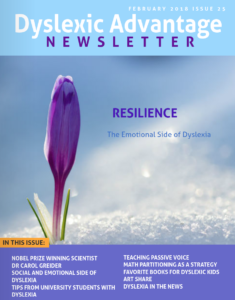 FEB 2018 Dyslexic Advantage Newsletter in PDF Nobel Prize Winner Carol Greider Social and Emotional Side of Dyslexia Strengths to Foster Resilience How They Do It – University Students with Dyslexia PASSIVE TENSE Art Share Math with Partitions Best FONTS for Dyslexia Books Recommended By You Dyslexia News SEE BELOW NEWSLETTER ARCHIVES FOR PREMIUM SUBSCRIBERS Please log into your PREMIUM account to view. 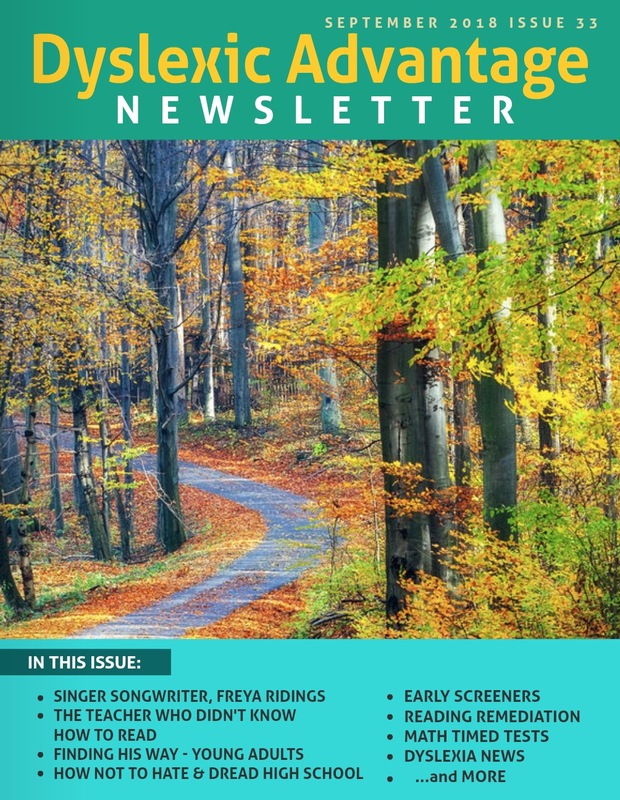 When you open the magazine, previous issues can be found in the sidebar.